Nuclear energy provides as much as fifty percent of Ontario’s electricity. It is extremely expensive, produces radioactive waste for which there is no safe disposal or storage, and carries the risk of catastrophic accident (far more serious in Ontario than anywhere else in the world due to our reactors’ proximity to a large population and source of drinking water). Ontario’s nuclear emergency plan is outdated and inadequate. This summer, the Ontario Ministry of Community Safety and Correctional Services will be hearing the public’s comments on proposed changes to the province’s Nuclear Emergency Response Plan. This is an excellent opportunity for health professionals to voice concerns about the safety of the nuclear industry in Ontario, and its emergency response plan in particular. Historically, there has been a major nuclear accident every decade since the 1970s. The most recent one occurred in Fukushima, Japan in 2011 when 400,000 residents living 50 kilometres from the Fukushima reactors were evacuated. 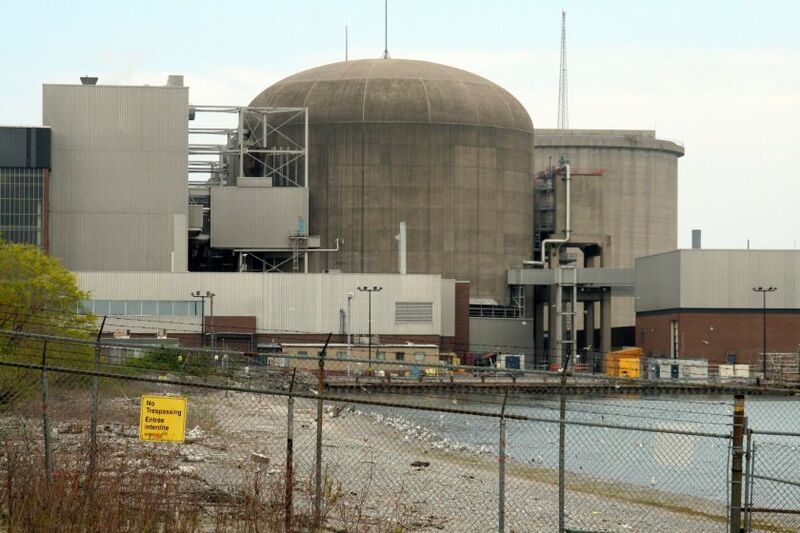 Half of Ontarians, and one in six Canadians, live within 60 kilometres of Darlington and Pickering nuclear stations, which is why Ontario needs a robust and detailed emergency response plan. The tragic disaster in Fukushima demonstrated the critical importance of a strong nuclear emergency plan, the value in having clear measures in place to deal with immediate mass health issues among workers and citizens, and the importance of monitoring to prevent long term health effects. International reports and Japanese officials have stated that none of these conditions were adequately in place in Japan prior to the Fukushima accident. Japanese authorities increased permissible dose limits so that workers’ and citizens’ doses would remain in the “acceptable” range. Many important issues had not been addressed as part of an emergency plan, such as knowledge of emergency responders of decontamination methods, adequate transportation of contaminated patients to hospitals, capacity of local hospitals to deal with incoming patients from hospitals within the primary zone that had to be evacuated, malfunctioning of water and electricity supplies in these hospitals, emergency lodging facilities, and secure food supplies. In Ontario, we believe the current nuclear emergency plan should be designed to respond to a nuclear accident of the same severity as Fukushima. Instead, the Plan is designed for an accident several times less severe. It does not address the needs of vulnerable populations such as the elderly, hospital patients, and children. Nor are there measures in place for training health professionals to deal with large numbers of contaminated patients who would arrive at clinics and hospitals. Ontario’s nuclear reactors, which are some of the oldest in the world, are all adjacent to the Great Lakes, the source of drinking water for tens of millions of Canadians and Americans. Large quantities of radionuclides would flow into the Great Lakes in the case of a catastrophic accident, and despite the large volume of water, this could affect safety of the drinking water of millions of residents. An adequate emergency plan must include the provision of clean drinking water for the tens of millions of people presently reliant on the Great Lakes. Public awareness needs to be improved regarding instructions to follow in the case of a nuclear accident as well. For example, iodine pills, which should be ingested within four hours of radiation exposure and preferably before exposure if possible, are needed to prevent thyroid cancer. In Ontario, they are pre-distributed to residents living within a 10 kilometre radius of the reactors. The pills are available to people living within a 50 kilometre radius but most people are unaware of this important preventative measure. Ontario should consider pre-distribution of pills to all residents living within at least 20 kilometers of a nuclear reactor, in keeping with international best practices, as is the case in New Brunswick for the Point Lepreau nuclear reactor. In order for Ontario to be ready for a major nuclear disaster, an emergency plan should be implemented that is based on a Fukushima-level accident, that includes training and preparation of emergency responders and health professionals, clear communication with the public on an ongoing basis, adequate pre-distribution of iodine pills, and a plan to provide sufficient clean drinking water to the tens of millions of residents reliant on the Great Lakes for their water. CAPE urges the Ontario government to create a detailed, comprehensive, and transparent emergency plan to protect the health of Ontarians in the case of a catastrophic Fukushima-level nuclear accident. You have raised a valid concern. Good article. before the 70’s there was Whinscale in the UK, since renamed Sellafield in classic 1984 fashion to pretend it never existed. Also no mention of who will pay? private profit, public costs, nothing unusual here. Nuke power has never been safe because there has never was and probably never will be a safe way to store very radio active waste. Are we okay with the worst case scenario? The plant should be shut down immediately. An adequate emergency response plan will still not stop an ecological disaster and losing the Great Lakes should not be an acceptable risk. We need to stop using so much energy. Our consumeristic, wasteful lifestyles are destroying the planet and causing wars.